Managing Solar leads has never been this easy. Track solar leads from click to close get complete details about your customers — conversations, status (open, won or lost) and appointments scheduled with them. Appointments and follow up with integration to Calendar. Schedule meeting or demo appointments with prospects and customers, and get email alerts to remind you. Spend time closing more deals and making more sales using Solar Quotation System. Manage and Follow Up with Leads All in One Place. 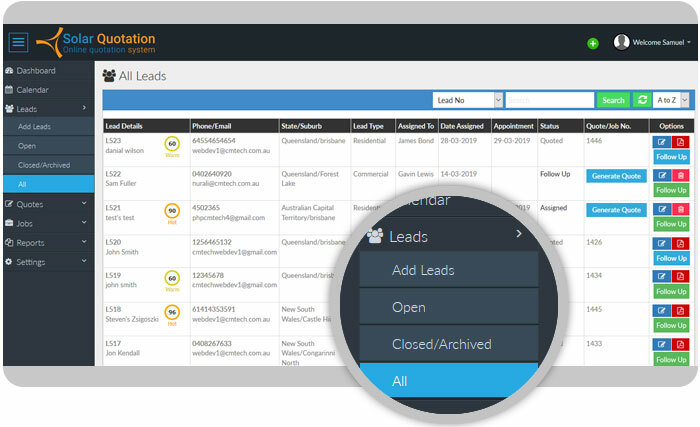 Get set up in seconds to start managing sales leads without the hassle. 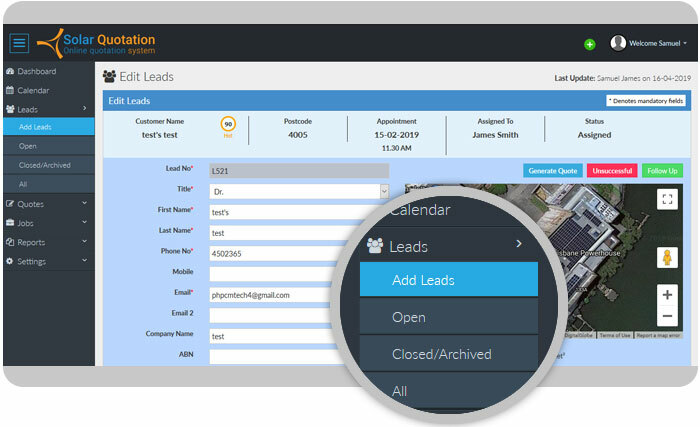 Contact us today for a demo and start converting leads into orders. Solar Quotation System a Complete Solar CRM – Supercharging Australian businesses. Schedule activities – Follow ups, reminders etc.